5th Generation autoflowering strain. This variety featuring high levels of Cannabidiol (CBD) is the result from the cross between a selection of Sweet Seeds’ best 4th Generation autoflowering strains and a photoperiod-dependent clone rich in CBD. Sweet Nurse Auto CBD is Sweet Seeds’ first autoflowering genetic rich in CBD. The THC:CBD ratio of this variety stands between 1:1 and 1:2. This is a genetic with a “different” psychoactivity, soft and gentle, adequate for cannabis users who prefer to avoid the psychoactive effects of other type of strains rich in THC. This kind of CBD-rich genetics are appropriate for the treatment of multiple illnesses because of their therapeutic and medicinal properties of both CBD and THC. Among other medicinal uses, CBD has been used to reduce anxiety, convulsions, nausea and vomits, inflammation, pain, and a long etcetera of pathological conditions. This strain is a great producer of resin and flowers, delivering a big central bud and multiple smaller buds on the side branches. 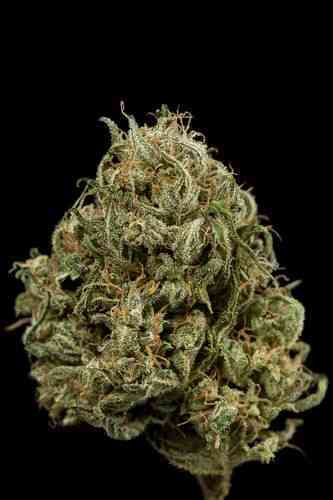 It features an intense and penetrating sweet fruity aroma, with tones of Skunk, citrus and spicy notes.